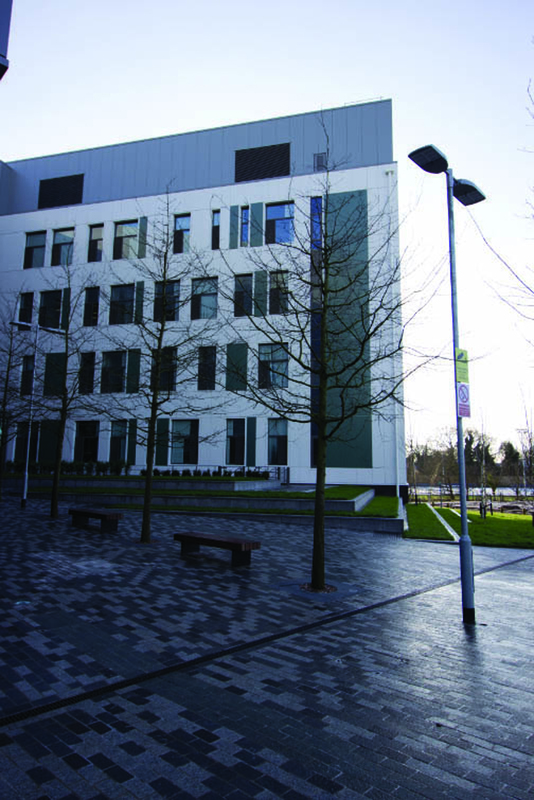 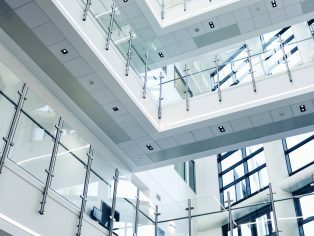 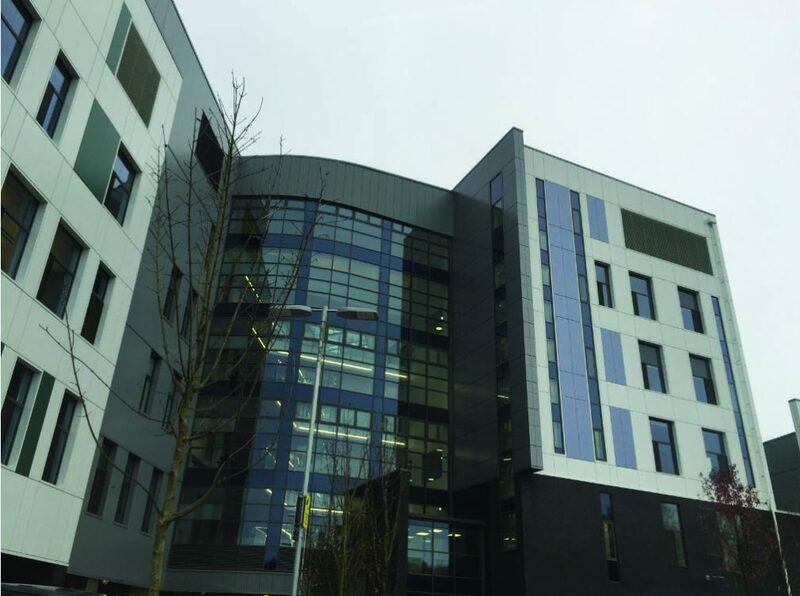 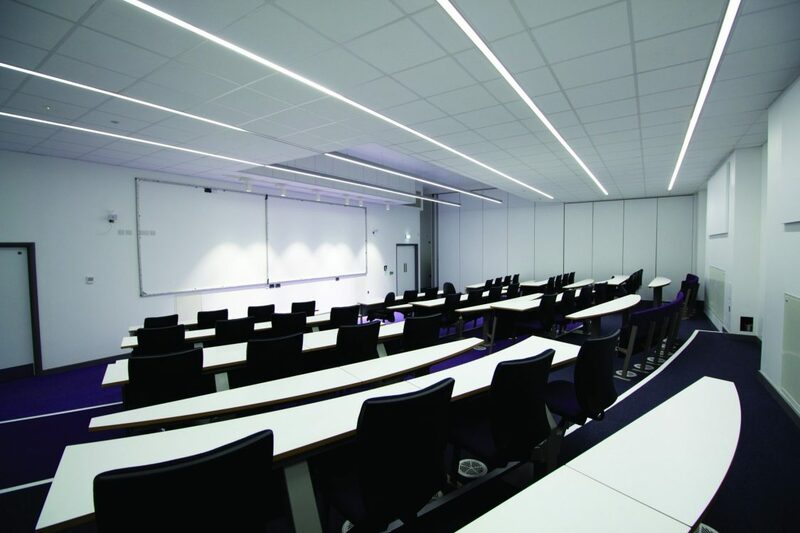 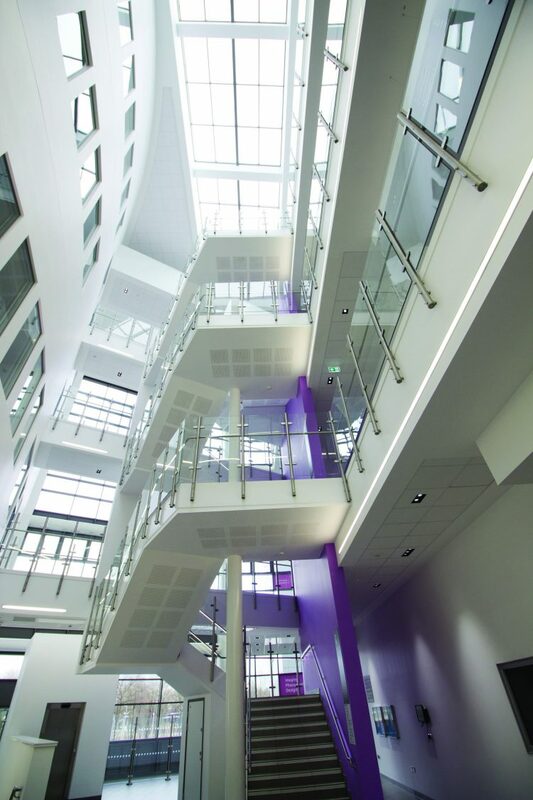 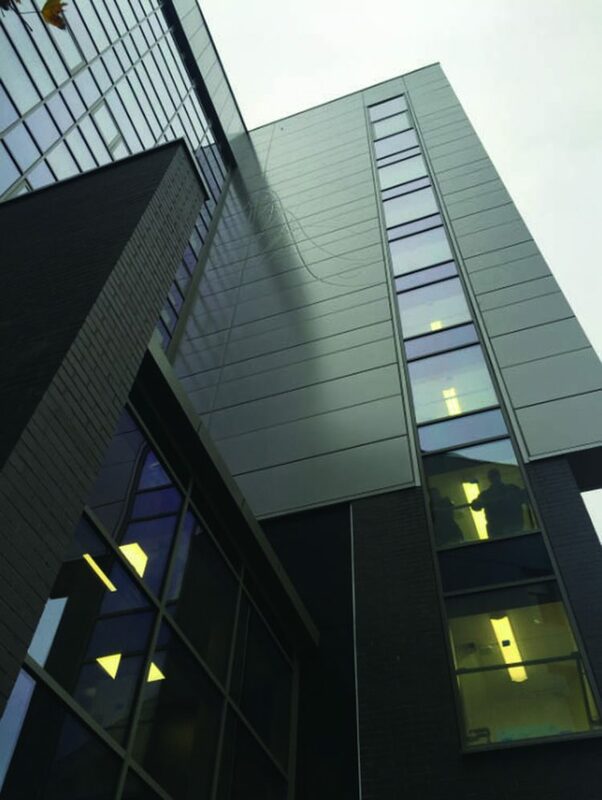 Britain’s first new stand-alone dental hospital and school in 40 years, on the site of a former BBC studio, also has healthy environmental credentials. 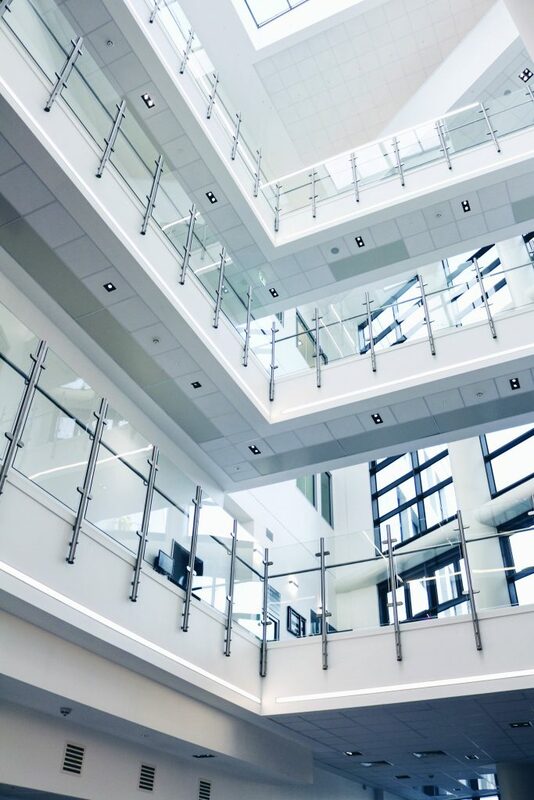 On the outskirts of Birmingham, the BBC’s long-defunct Pebble Mill Studios site in Birmingham is being transformed into a life sciences and healthcare campus. 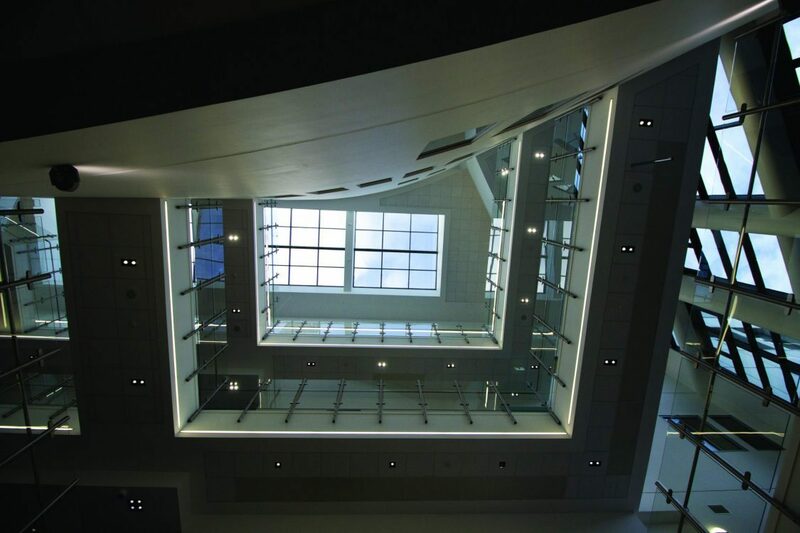 At its heart is the new £50m Birmingham Dental Hospital and School of Dentistry, a state-of-the-art teaching and clinical facility, which enhances Birmingham’s reputation as a hub for medicine and science. 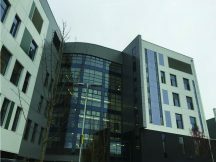 Designed by Worcester-based One Creative Environments, the hospital in Edgbaston is the first of a number of potential healthcare facilities being constructed on the 27-acre former studio site and forms part of a vast network of organisations, surgeries, medical facilities and hospitals in the area known as the Edgbaston Medical Quarter.